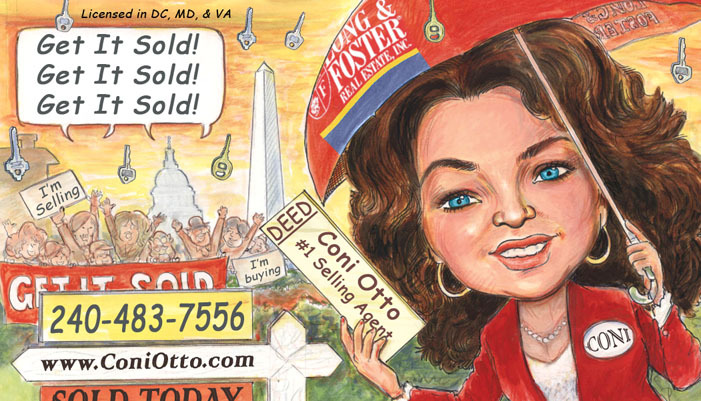 Selling in DC & Maryland - Coni Knows Determination is the Key to Success! Sellers.. Is your Listing Agent asking for Highest and Best? Sellers, Ask for Highest and Best!! As a Listing Agent my job is to mediate between the buyer and the seller and work in the sellers best interest. I like to think of myself as a "Coach" and I like to give the seller the benefit of my experience. When working in the sellers best interest I have a duty to submit all offers to them whether they are in writing or verbal. If I get a verbal offer I try to get the buyers agent to get it to me in writing asap. If I have more than 1 offer I will inform the seller that we have more than 1 offer and we will give the buyer a deadline to give us the highest and best offers. The reason you want to give the buyers a 2nd chance is because if the initial offer came in when you didn't have any offers then the buyer will probably test the waters to see how low the seller will go. It is up to the seller if they want to accept the offer, counter the offer, or reject the offer. I highly recommend that the seller counter on any offer especially in a depressed market. If the seller is reviewing a offer and other offers come in the seller should most definitely have the agent request "highest and best" from all the buyers who submitted an offer. This would be working in the best interest of the seller. Never count out a low ball offer because you never know how serious they may become if they are faced with decision of having to bid against other offers. If you or anyone you know is thinking of selling their home please have them give me a call, I have a lot of experience at selling homes. 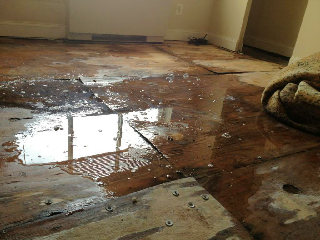 What to look for In home inspections..
Water was coming up underneath some carpet in a bedroom from a leak from the air conditioner. 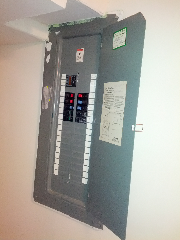 The seller fixed this problem and addend new carpet. was pulling away from the house. 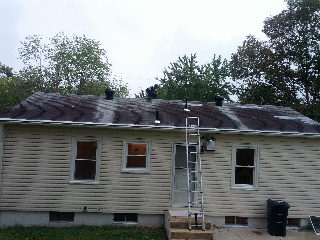 Tory gets on the roof to check it to make sure that it's not sagging, or there are missing shingles, and to determine the age of the roof. 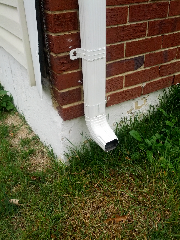 The downspout needs to have an extender so the water drains away from the house. 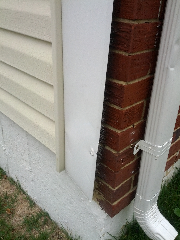 These are just a few things to look for in a home inspection, so make sure you hire a good home inspector. 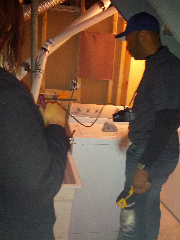 The home inspector should provide you with a report that has pictures and clear explanations of all the items found in the house so it can be presented to the seller. Questions, please let me know! I would love to feature your queston on my blog. 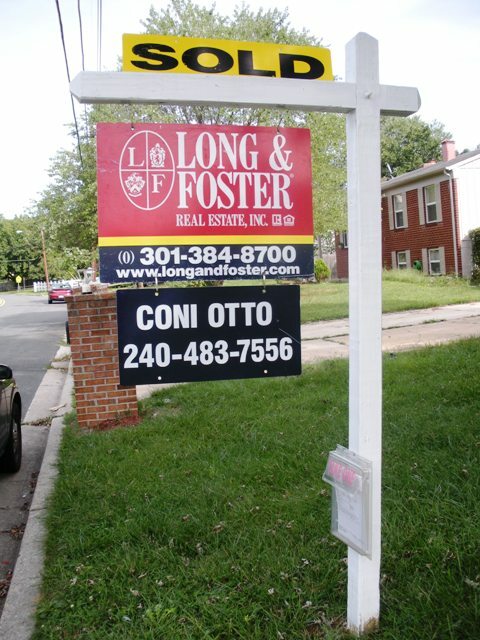 If you are moving to the Washington, DC area or already live here please call me to help you buy or sell your home.